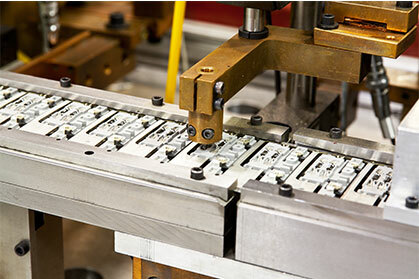 Sun Microstamping Technologies Designs and Builds Assembly Automation using Rotary and Walking-Beam construction machinery; this allows for the integration of; Metal Stamping, Plastic Insert Molding and Automated packing systems that results in lower part prices. 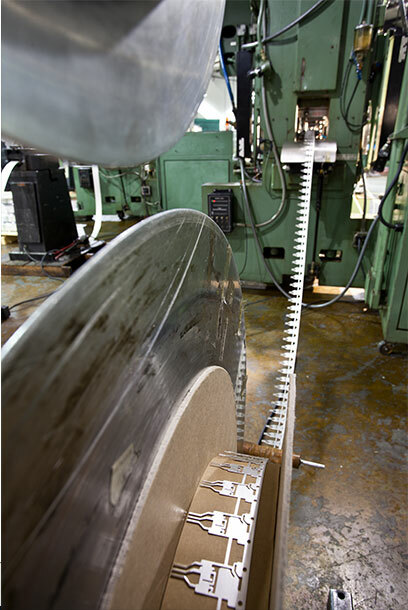 By customizing the machines, we offer customers unique solutions, cost savings and increased quality. SUN has developed several Workstations using Robotics allowing the Metal Inserts to be placed in the mold using robotics.